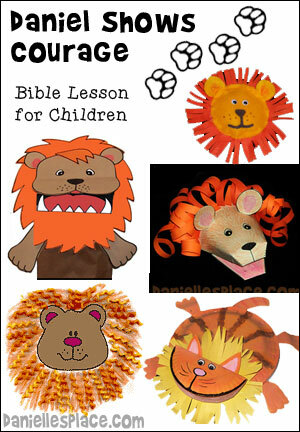 The following Bible lesson is from The Resource Room. 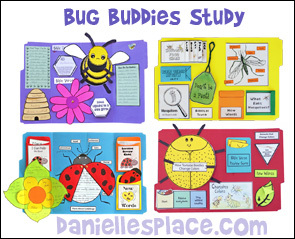 All the crafts and activities are available to members on The Resource Room and as an instant download. 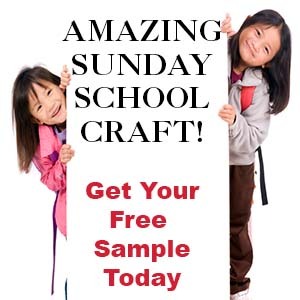 Instant Download - $2.95, Includes all the crafts and activities on this page. Jesus is our example -- by following in his steps they will become more and more like Him. Before class set up paths of different colored footprints on the floor if you have room. Use different colors to make different paths. Have all the paths end at a picture of Jesus. On the back of each footprint write one of the following words: Care, forgive, friend, giving, good, grateful, happy, honest, kind, love, obey, patient, pray, trusting, tell the truth, share, study God's words, etc. Tape the footprints to the floor so that the words don't show. As the children arrive let them follow the paths. If children know their ABC's or numbers you can make a path by putting numbers or letters on the feet and have them follow the footprints in order. 1. Before class print out the Feet Pattern Sheet and cut the feet apart. 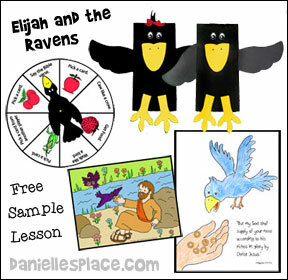 Print out the Bible verse coloring sheets and make copies. 2. In class have the children cut out the feet, color them, and glue them to the pompoms, and glue on googly eyes. 4. To finish have your3. Glue the magnets on with a glue gun. 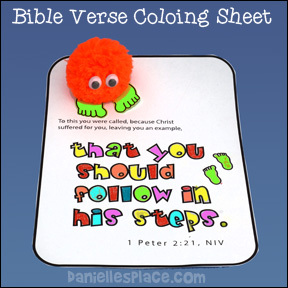 children color the Bible verse page. 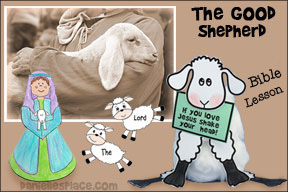 Tell them to attach the Bible verse to their refrigerators at home with the Feet Critter magnets. Every time the open the refrigerator they can practice their Bible verse. 2. 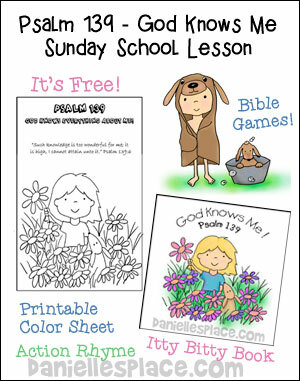 In class have your children color the picture and then talk about how we can follow in Jesus' steps using the words on the coloring sheet. Prepare your bulletin board. Print out the Title Pattern and cut the words apart. 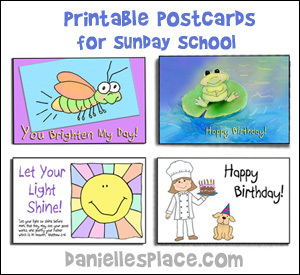 Staple them to the middle of your bulletin board. Write the memory verse in big letters below the title. Staple a picture of Jesus to put in the middle of the board. You will also need lots of footprints that you will add to the board later. If you don't want to buy them, you can cut out your own from construction paper. You will be using the footprints patterns from the opening activity for this bulletin board. Another way to follow in someone’s steps is to be like them, to act like them, or do what they have done, or to follow their example. The Bible tells us that we should follow in Jesus’ steps? (Open your Bible and read 1 Peter 2:21-23.) You can’t walk behind Jesus and follow in his steps because he is up in heaven with God. But you can follow in his steps by being like him. This verse is saying that Jesus should be your example. People made fun of Jesus and called him mean names, but he didn’t call them names back. He kept his mouth closed. He only said good things to people. 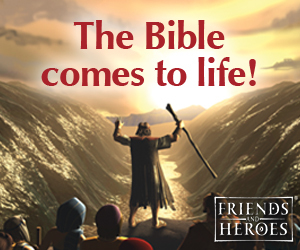 People beat Jesus up and threw rocks at him, but he didn’t start a fight with them or threaten to get even. He left it up to God to judge them for the wrongs they did. He forgave them when they hurt him. Did you ever call someone a bad name because he or she called you a name? Did you ever get mad at someone for hitting you or hurting you and you hit him back? If you did, you weren’t following in Jesus’ step. None of you can be good all the time. We all make mistakes and do wrong, but if we are sorry for what we have done and ask God to forgive us, he will. If you have a hard time being like Jesus, you can ask God to help you. Tell your children to go quietly and pick up a footprint off the floor and bring it back to the circle. Call on one child at a time to bring you his or her footprint. Turn it over and read what is written on the back. Then ask the child if he can think of a way he can do whatever is written on the footprint. For instance, if the word is kind, ask the child if he can think of a way he can be kind. When a child thinks of an idea tape the footprint on the bulletin board display or let him tape it on the board. You can also write the child’s name on the footprint “Danny can be _____”. Tell your students that you will be giving them directions on what to draw. They should not look at each other’s papers and do their best to follow all the steps. Tell them not to worry about doing it wrong, and if they don’t understand a certain step, they should just do it to the best of their ability. You can adapt this exercise to your students’ abilities. Step 1: Draw a line all the way across your paper to divide it in half vertically and draw another line all the way across your paper to divide it in half horizontally. Step 2: In the top left square draw 3 lines evenly spaced from the top of the square to the bottom. Step 3: In the top right square draw a 1/2-inch circle in each corner. Draw two more circles the same size evenly spaced between each of the 4 circles you just drew around the edge of the square. Step 4: In the bottom left square draw a diagonal line from the top left corner to the bottom right corner and a diagonal line from the right top corner to the bottom left corner. Step 5: Draw a two-inch wide circle in the center of the same square. Step 6: Draw a one-inch wide circle in the center of the bottom right square of your paper. Step 7: Draw a straight line from the bottom edge of the circle to the bottom edge of the paper. Step 8: Draw circles about half the size you just drew evenly spaced all the way around the outside of the circle you just drew so that they are all touching but not overlapping. When everyone is finished show them your picture. Ask your students if their pictures are the same as yours. Ask a student whose picture came out differently why his picture came out differently. 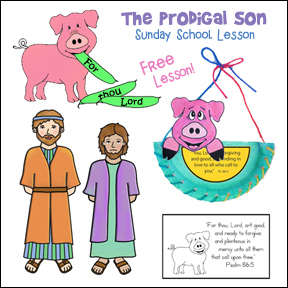 He will say something like, “I didn’t understand the directions.” I thought you said something else.” Have the children draw the picture again while you hold up the example picture and read the steps. Peter tells us to follow in someone’s step. Have your students open their Bibles to 1 Peter 2:21 and read the verse to find out in whose steps we should follow. We follow in our parents’ footsteps in some ways, and that is good if our parents are good examples, but our parents aren’t perfect. Peter tells us that Jesus should be our example. He suffered for us. He was insulted (made fun of) and beaten up, but he never answered back when he was made fun of. When they beat him up, he didn’t threaten to get even. He left it up to God to judge them for the wrongs they did. Did you ever call someone a bad name because he called you a bad name? Did you ever get mad at someone for doing something mean to you and then told him that he would be sorry because you would get even? If you have, that is not following in Jesus’ step. None of us are perfect. None of us completely understand God’s words. We all read the same words, but we all understand them a little differently. It is a lot like the pictures you drew. If you didn’t understand some of the directions, you probably didn’t get the picture quite right. The more of the words you knew the closer your picture is to my picture. The more you study the Bible and learn and follow Jesus’ steps, the closer you will be to becoming like Jesus. You will make a lot of mistakes along the way. You may loose his tracks and go in the wrong direction sometimes, but God is patient and will guide you and turn you around if you get sidetracked. He has also given you parents and teachers to help you find his steps. But, most importantly, he gives you the Holy Spirit to guide and direct you and help you to do the right thing. Let’s look at the first picture you drew again. With the first picture you drew you only had the instructions and it doesn’t quite look like this picture, does it? Now look at your second picture. It looks a lot like this one, doesn’t it? That’s because you could see the picture you were drawing. It is the same way with Jesus, right now we only have the instructions on how to be like Jesus. We have to do the best we can to interpret (understand and follow) them. This sometimes makes it difficult for us to be like him. But the Bible tells us that when Jesus comes and we see him as he really is, we will be like him. Special Note: You can add footprints each week or refer to the display as you talk about your current lesson. For instance, if you have the lesson on “The Women at the Well”, you can ask your students what example Jesus left us in this story. You can write words on the feet like: compassionate, understanding, forgiving, accepting, caring, etc. Tell your children to go quietly and pick up a footprint off the floor and bring it back to the circle. Call on one child at a time to bring you his or her footprint. Turn it over and read what is written on the back. Then ask the child if he or she can think of a way he or she can do whatever is written on the foot. For instance, if the word is kind, ask the child if he can think of a way he can be kind. When a child thinks of an idea tape the footprint on the bulletin board display or let him tape it on the board. You can also write the child's name on the footprint "Danny can be _____". Bring in several pairs of big shoes. Have your children split up into teams according to how many pairs of shoes you have. Have the children race to the end of the room and back wearing a pair of shoes. When a child gets back to the start line, he takes off the shoes and the next person in lines goes. If you think this will make the children too excited, you can just let the children take turns trying on the shoes and walking around. As they walk and take off the shoes talk to them about how much harder it is to walk in big shoes, but that it was much easier when someone helps them. Wearing big shoes is a lot like following in Jesus' steps. It isn't easy to be like Jesus, but he will help us if we ask. You have to have a lot of room for this game. Break the children into teams of two. Have one member on one side of the room and the other on the opposite side. Lay three feet in a row in front of one member of each team. On the word "go" a child from each team walks across the room by placing his feet on the paper feet and then picking up the paper foot behind him and placing it in front of himself. He then places his back foot on the paper foot he just placed in front of himself and picks up the one behind him and places it in front. When the first team member gets to the other side of the room his team mate does the same thing to get back to the "finish/start" line. The first team to make it to the finish line wins. Have your children stand in a circle. Explain to the children that you are playing follow the leader and that their leader is the child standing to their right. So they do whatever that child does after he does it. Start by turning to the child on your left. 1. "Jesus was kind." Bend over and pretend to tie the child's shoe lace. 2. "Jesus was giving." Pull a penny or something out of your pocket and give it to the child. 3. "Jesus was happy." Smile at the child. 4. "Jesus studied the Bible." Hand the child a Bible. 5. "Jesus told others about God." Hand out a track or say "God is good." 6. "Jesus praised God" - Hold up your hands and say "Praise the Lord"
7. 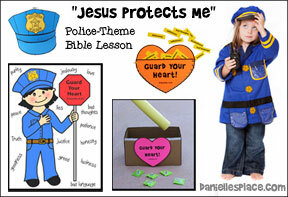 "Jesus cared about others" - Pat the child's shoulder. 8. "Jesus was honest" - Hold up one hand like you were going to take an oath. 9. "Jesus was encouraging" - Hold up a fist and give a cheer like "You can do it." 10. "Jesus prayed" - Get down on your knees and fold your hands. 11. 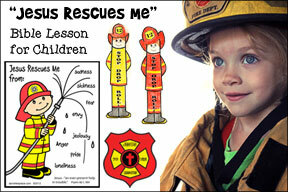 "Jesus loved everyone" - Give the child a hug. To finish say, "Jesus shared". If you have a snack time hand out cookies to everyone. 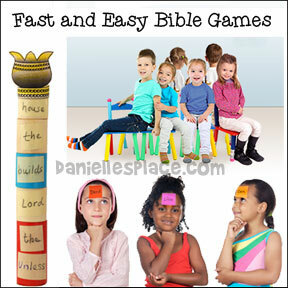 If you have older children you can begin another round while the children are still working on the previous one. 1. Print out the Title Page and two copies of the Bottom Pattern. 2. Have the children color the feet and stars. Tell them not to color over the lines because you and their parents will be using them to write on. 3. When the children are done coloring tape the two bottom pages onto the title page and write the child's name at the top if the child isn't old enough to write. 4. Ask the child if he can think of something he did today that was following in Jesus' steps, like being kind, helping someone, sharing, or obeying. When the child has thought of something write it at the bottom of the poster. Roll it up and secure it with a rubber band. 5. 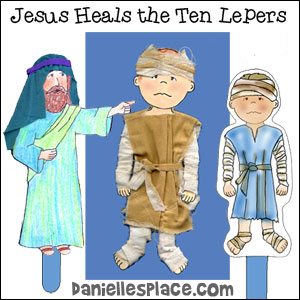 When the child's parents show up to get him, hand them the poster and tell them to help the child fill it out as he does something to follow in Jesus' steps. After the children have colored the poster, tape it together. Help them think of something they have done today that was following in Jesus steps. Give them some examples, like Jesus was helpful. Were you helpful today? Jesus obeyed. Did you obey today? When the children think of something, write what they did at the bottom of the poster. Roll up the poster and put a rubber band around it. When parents show up, tell them that they can help the children fill out the poster when they have done something that Jesus would have done. Sing to the tune of “Frère Jacque”. Who will I follow? Who will I follow? All the way, All the way. For doing right, For doing right. With all my might, With all my might. Sing to the tune of “If Your Happy and You Know It”. If I follow in the steps of my Lord. I've done a lot of the lessons, but "Following in His Footsteps" has to be one of the best. Our class today consisted only of kindergarten and first graders. We followed the lesson plan except for the first part of the lesson. To emphasize walking in His footsteps, we walked down our hallway with the kids simply following in our steps (taking small steps so they could follow). They got tickled trying to literally walk where we walked. Then we walked back to the classroom and explained the second way to follow. This time when we walked down the hall, they had to do what I did. We shook hands with people we met, spun around, marched, etc. The kids loved it. The exciting thing was that the children were then able to explain the lesson to me, before I even started actually teaching. As soon as we got back to class, they were able to tell me that we were supposed to follow in Jesus' footsteps the second way, by acting the way He did. They seemed to have all the answers. Usually I leave wondering if they even heard a word I'd said, but this week was different. My class really enjoyed this lesson. We spread it out over two weeks and discussed different ways to follow people, by literally tailing them or by following their actions. In addition to the footsteps relay game, I brought in some large shoes (my husband's) and we ran another relay. We had two teams - the object to see which team could put on the shoes and run to the other end of the room and back. Some of the kids could barely keep the shoes on, which made for some great fun. This also illustrated how difficult it is sometimes to follow so we have to make extra effort. One of the children had previously given me some seashells that he wanted us to use in a craft and this lesson seemed perfect. I cut some large circles out of cardboard (from heavy cardboard boxes) and punched holes in the top to put a piece of twine to be used as a hanger. Each child drew their footprint in the center of the circle. 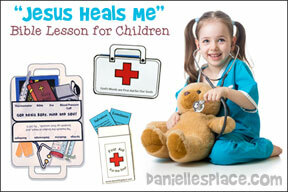 I had preprinted the words "I'm following Jesus" and gave one to each child to glue in the center of their foot. We then painted glue (that had been thinned) on the cardboard except inside the footprint. I put sand in a large dishpan and each child took handfuls of sand and poured it over their entire cardboard, shaking it off. This gave a beach effect with the footprint in the center. We then took our seashells and some small pebbles and arranged them around the footprint. I used tacky glue for this, but it still requires some time for drying, so we left them to dry and the kids took them home the second week of our lesson. 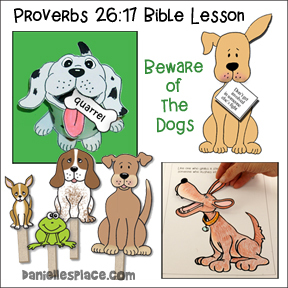 I used this lesson to teach my small Sunday School class of Pre-K aged children. Before class I traced a pair of my husbands size 12 shoes and made one pair of "feet" for each child. I glued them onto cardboard and cut out the footprints. I glued on the bottom of one " I Will Follow In.." and on the other "The Steps of Jesus" During class we discussed the ways that we can follow someone. I then took out index cards that each had an attribute of Jesus on them. We talked about the words and what they meant. I then gave the children alphabet stickers and had them copy onto the top of the footprints the attributes (gave them 3 cards at a time and then they switched cards till they had them all or were too tired to continue) They did a great job, they got through all 14 cards. I then hole punch the footprints, tied on yarn and if they wanted to, they could put them on and actually WALK in Jesus footsteps. They LOVED this!! !...and so did I ;-).